This sounds very interesting, please keep us,updated on your progress as others might follow your lead and do one for themselves. However, if I could offer my 2 cents. Check out your workspace before you set it up, as many office environments already have good airflow and ventilation, some more than others. You may have a spot in your area that already has sufficient airflow, and adding a fan may overdo it, possibly drying it out too much, too fast, especially over the weekend while you're not there to keep it hydrated. I'll absolutely keep everyone updated! For most pinguicula you wont need the extra headache that a terrarium/plexiglass cube would bring you. A lot of drosera don't need a cube either. You could make a pinguicula rock, and try to put a few drosera on it too... thinking about it, I'm going to see if I could get some Drosera burmannii to grow on my rock. Pictures for my simple setup. 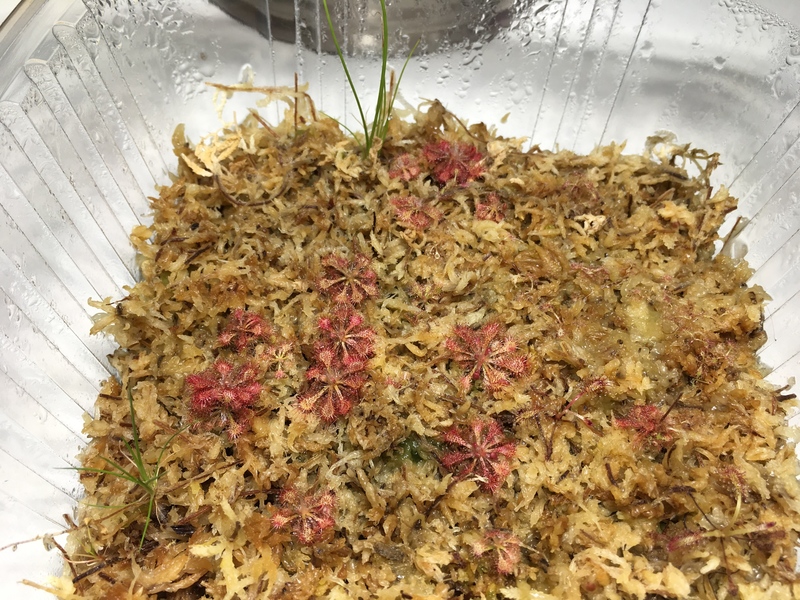 Here's what I used to germinate capensis seeds, and am currently growing young Drosera Tokiensis in. 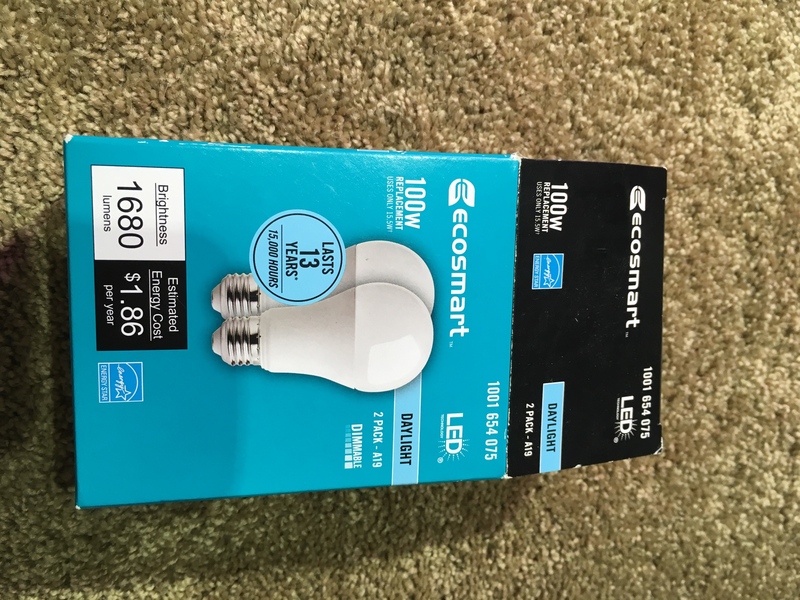 Look for these at Home Depot and pop the bulb off the end. 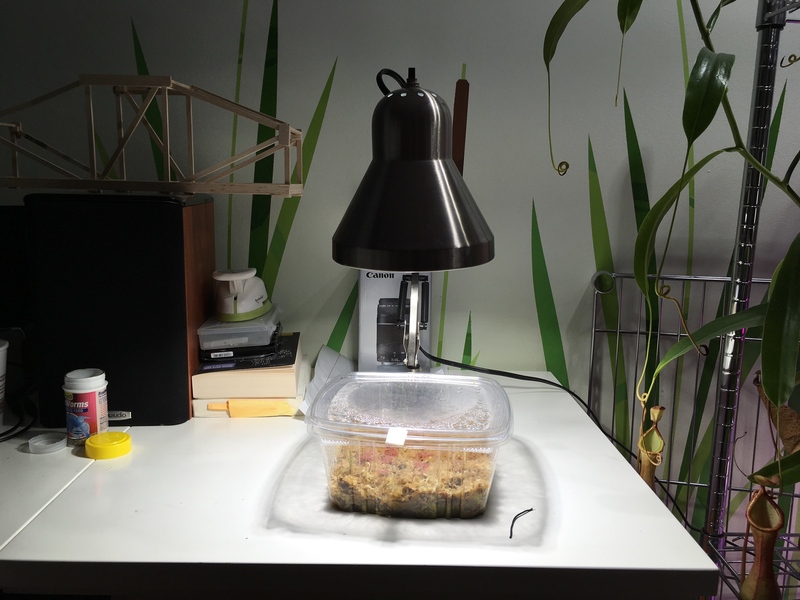 The container was more of a way to keep the plants humid, but since they have adjusted, I think I'll take them out and build something with foam to keep the light in. in the bottom under the grow light are some baby flytraps, adult Tokaiensis, and my new Pingicula. Glad to answer any questions! That looks beautiful! What light fixture is that? 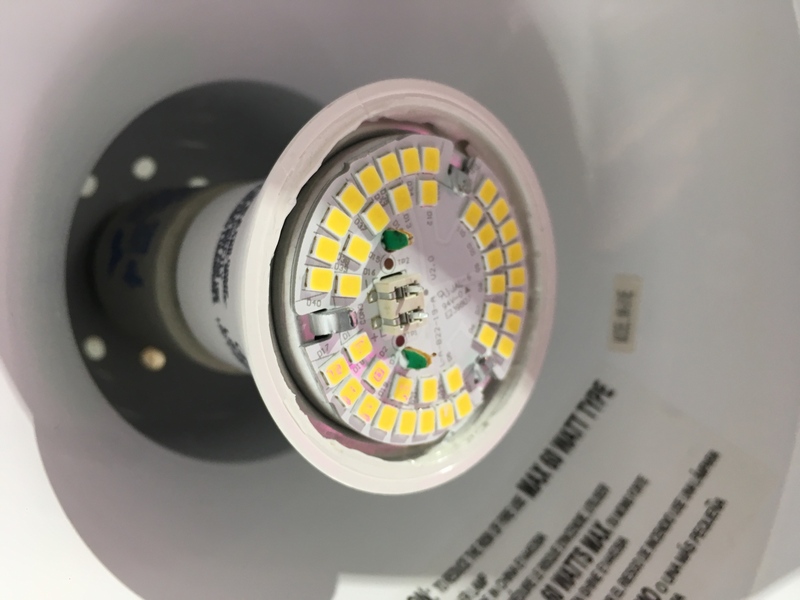 I think we’re gonna need a build thread for that light so we can copy it.